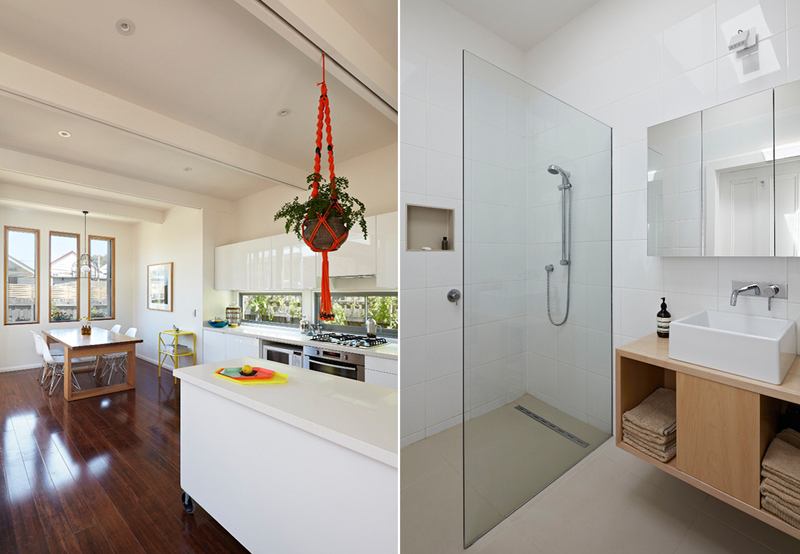 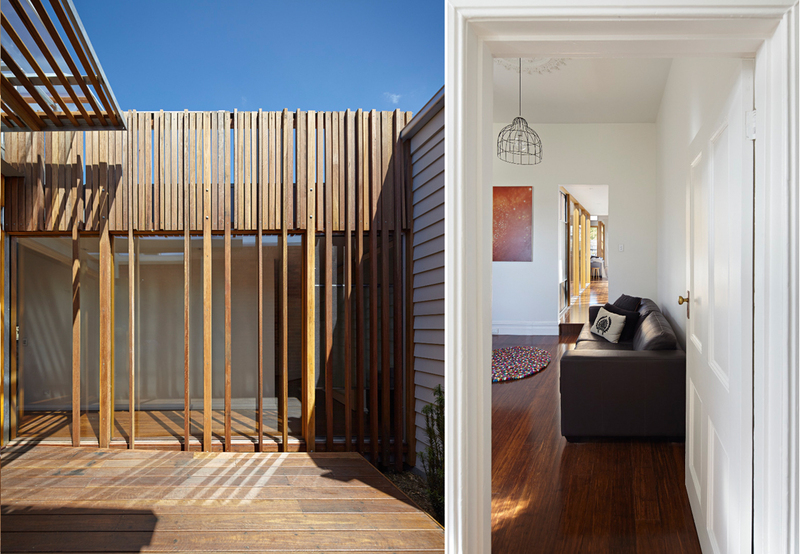 This house kinetically adapts to the notoriously variable climate found in Melbourne. 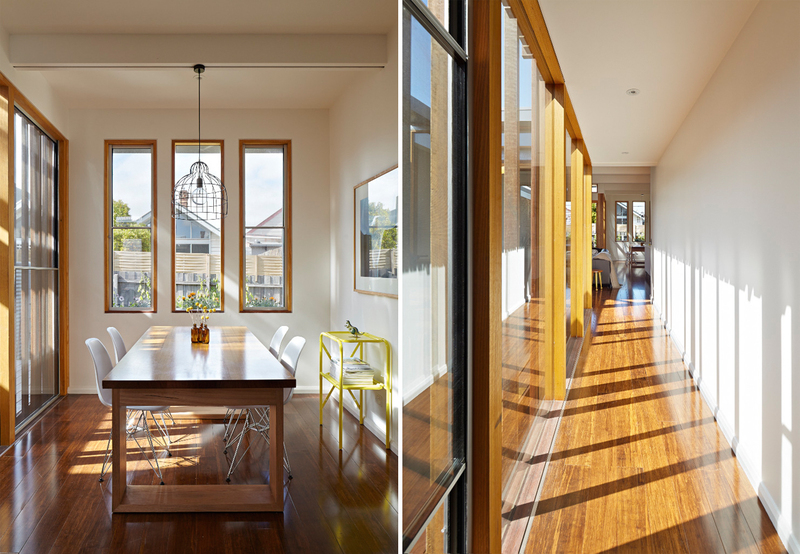 This project added a kitchen, living area, dining area, bathroom, master bedroom, ensuite and two decks to a previously overlooked yet charming weatherboard cottage in the inner urban suburb of Prahran. 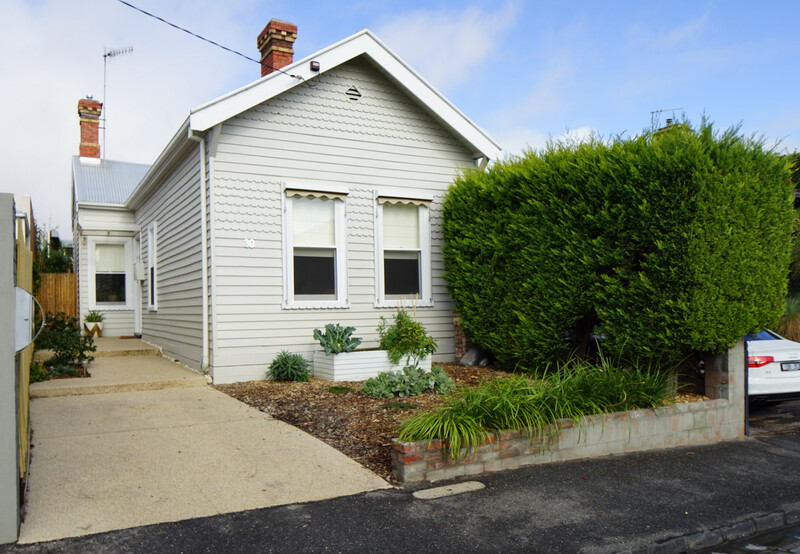 Nestled on an intimate street, the existing house is one of a series of heritage protected cottages. 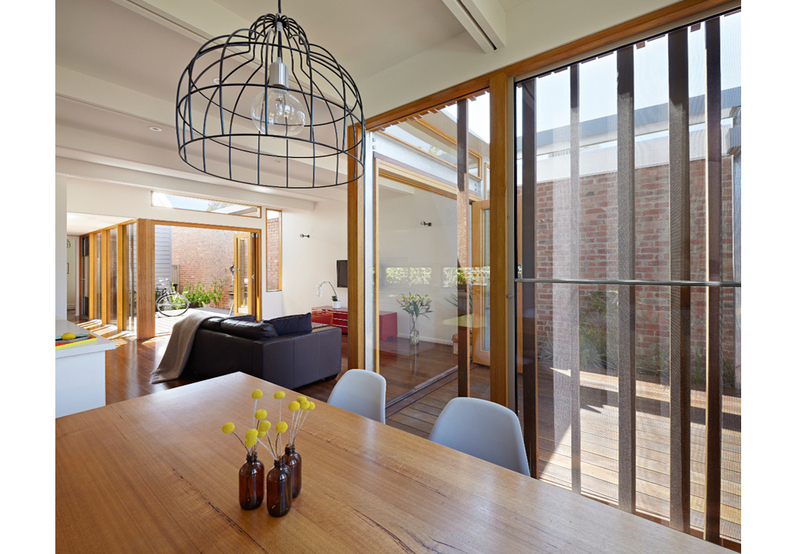 In response to the north-facing block of land, a central courtyard was created between the weatherboard and modern extension in order to flood the open kitchen, living and dining area with natural light. 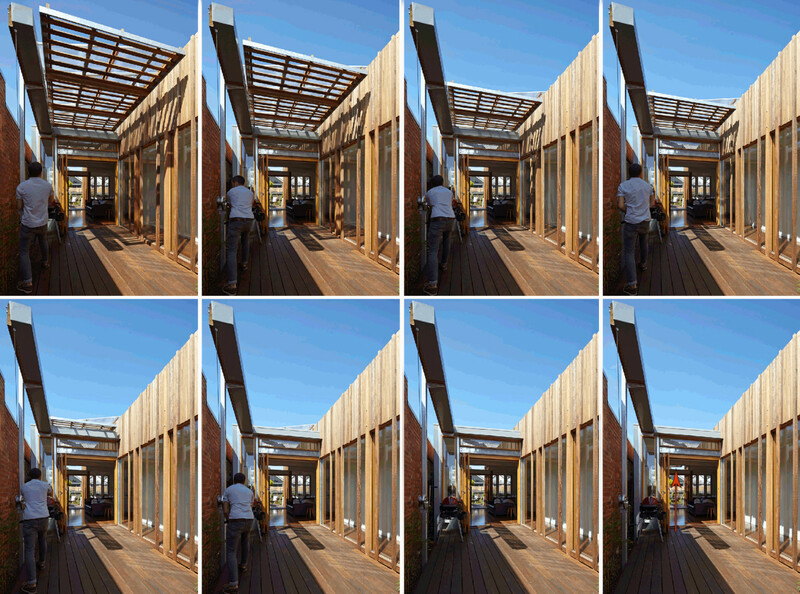 A carefully detailed glazed linkway runs along the central courtyard and vertical battens cast a playful cadence of shadows across the floor and walls as one transitions between old and new. 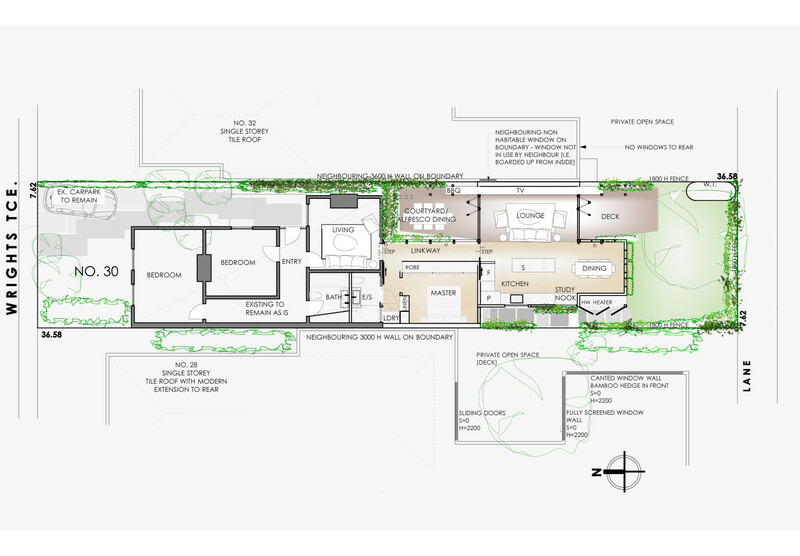 A second courtyard straddles the living room to the south and allows access to the rear garden where the client and his young daughter avidly nurture various vegetables and herbs. 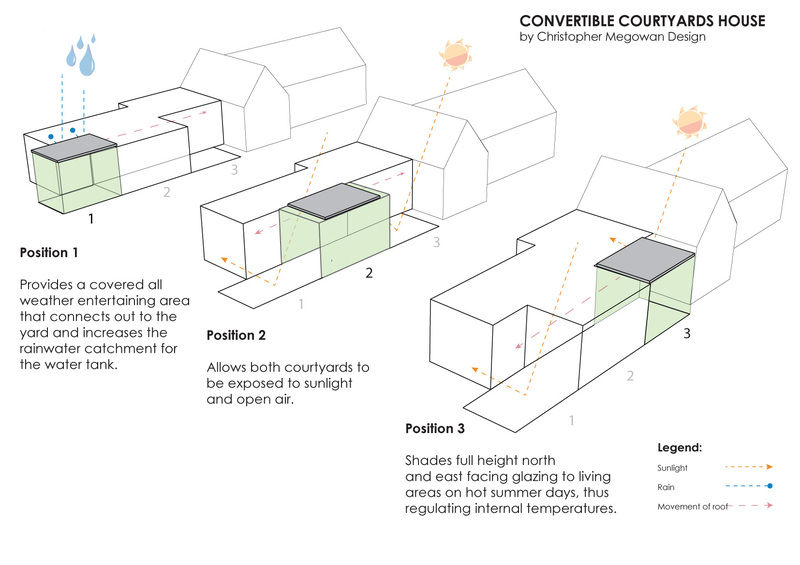 The conceptual strength of the house is found in the manually operated retractable roof which runs over 12 metres from north to south to cover both courtyards. 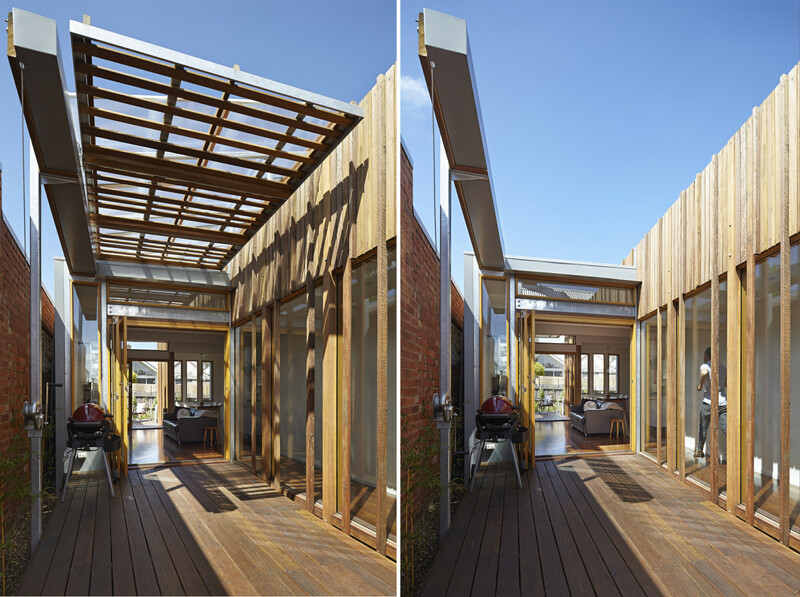 A hand winch and a block and tackle, allow the slatted timber, steel and polycarbonate roof panel to help regulate sun and rain on the two outdoor spaces, a valuable feature given Melbourne’s famously fickle weather. 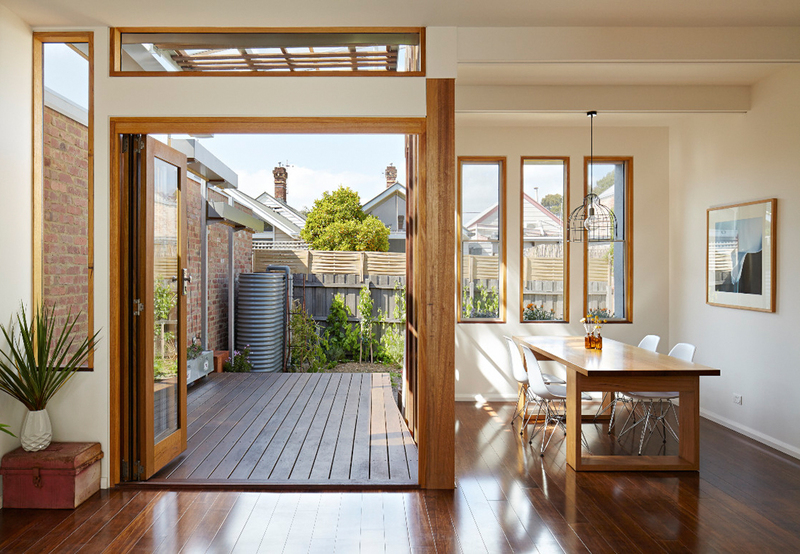 Two sets of hardwood bifolding doors, one on each side of the living room, help successfully ensure the all-important connection between indoors and out. 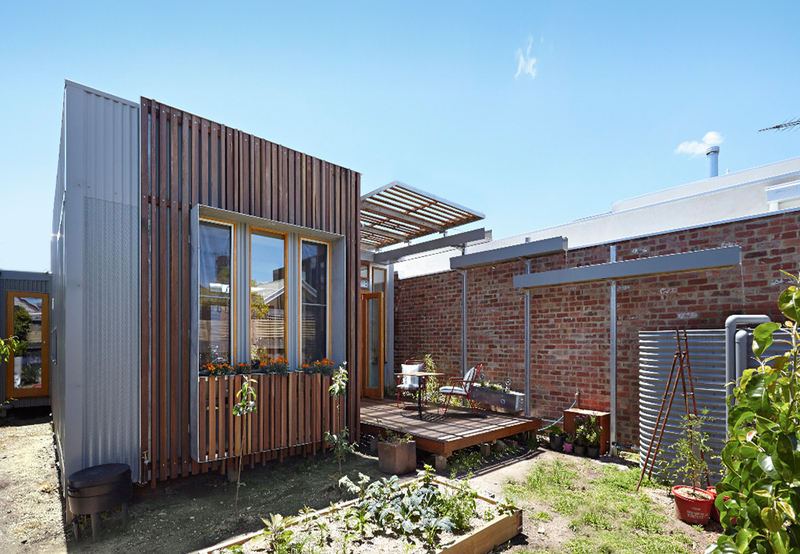 In the rear garden, an elevated aqueduct sculpturally cascades rainwater from both the fixed and operable roofs to a slimline water tank that is connected to the sanitary flushing system. 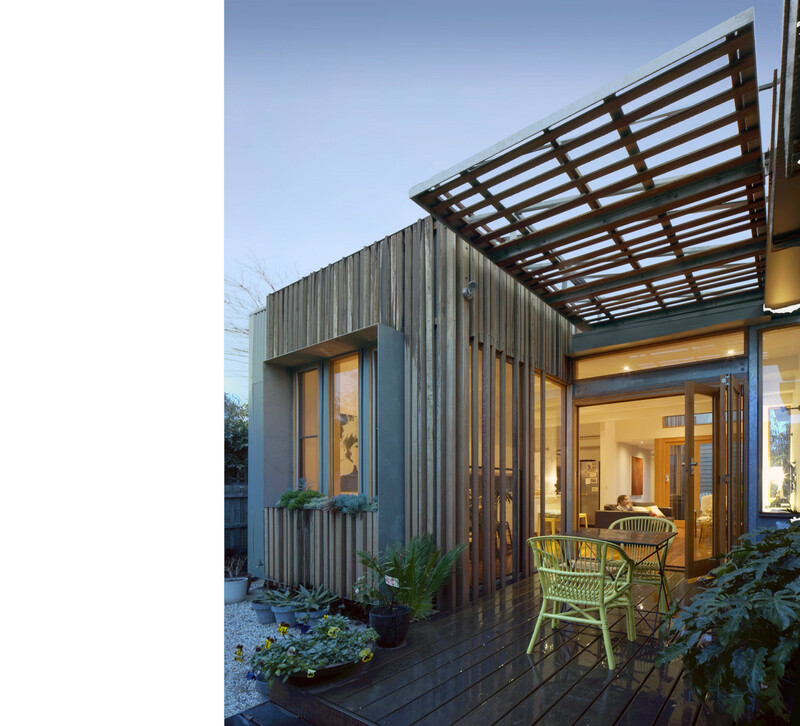 Solar panels, gas boosted solar hot water, high levels of insulation, and sustainably harvested/regionally sourced spotted gum timbers round out the projects green credentials.